This is wild country. 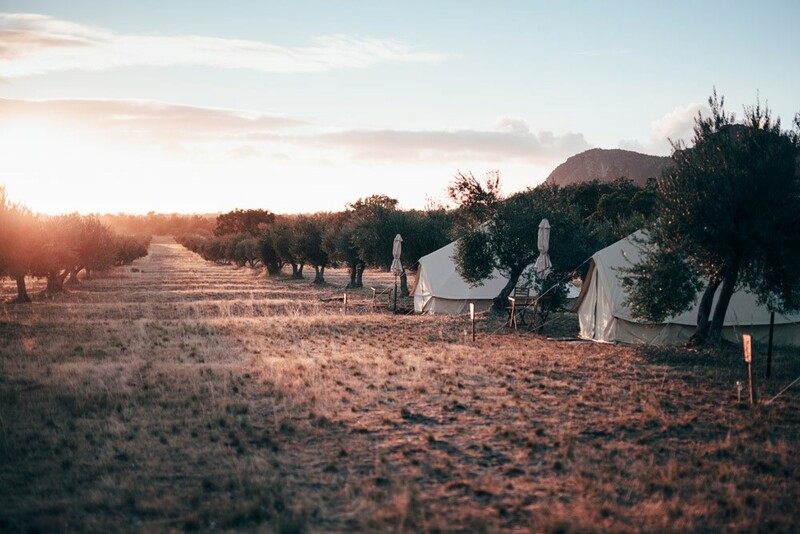 The craggy cliffs, dense bushland and open plains that inspired Henry Lawson, hide one of Australia's best kept secrets, the Capertee Valley. Three hours drive from Sydney, and one hour from Mudgee, Warramba feels like a simpler time. 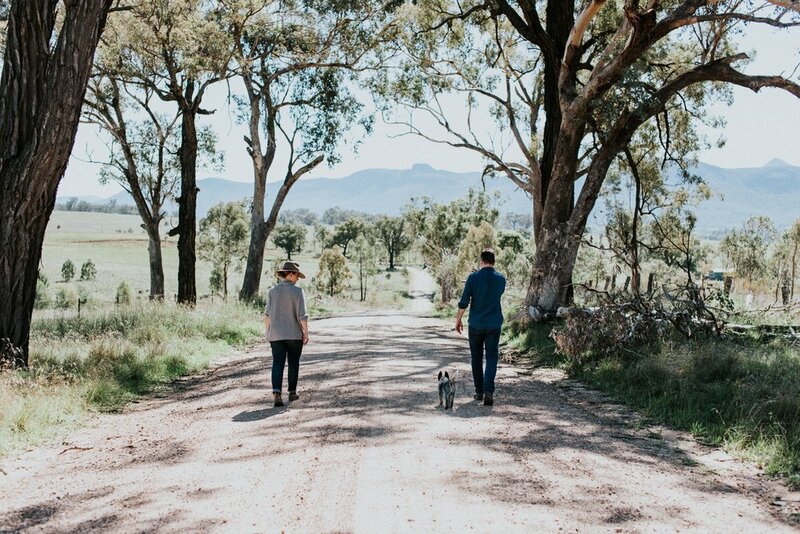 Warramba is set on 100 acres of regenerated farmland in the Greater Blue Mountains. Hidden from the road is the 1890s farmhouse, cut from local sandstone and lovingly restored as a bolthole for the world-weary. The homestead sits amid native grasslands, a river gently winds through. Sheer sandstone cliffs surround the property, brimming with native wildlife. Kangaroos, wombats, goannas, birds — including the endangered Regent Honeyeater — dash through the ironbark. Eastern long-necked turtles share this place — a reminder to slow down. Historic Rylstone, with its heritage-listed main street, and the Capertee, Turon, Gardens of Stone and the world-famous Wollemi National Parks are 20-minutes-drive. Ganguddy — inarticulately referred to as Dunns Swamp — homes ancient rock formations that rise up from the water. Ganguddy also features wild reeds and native ferns, bush trails and high scenic views over clouds of blue Eucalypts that appear to stretch on forever. Celebrate an important milestone. Discover a creative way to engage your Team. host a Long-table luncheon for family, friends, colleagues or clients. create a unique event for your brand. Visit Warramba. Warramba is able to provide unforgettable experiences through a unique collaboration with outdoor events company Under Sky. 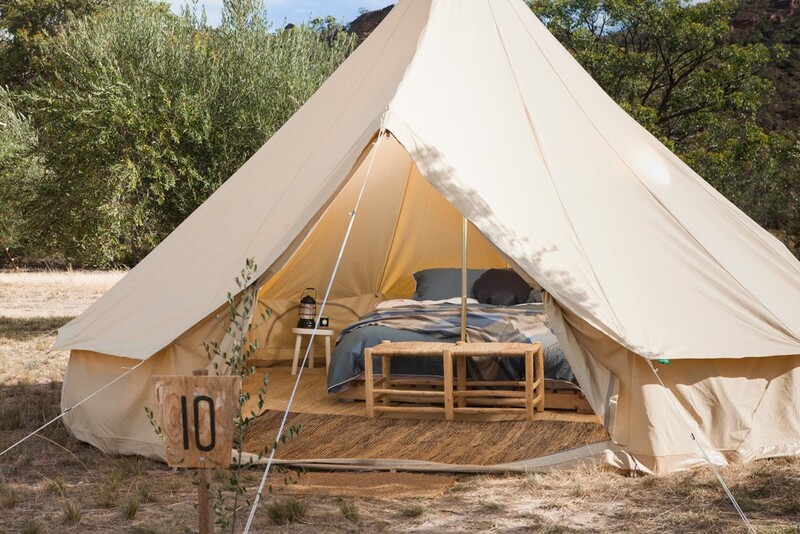 Under Sky specialises in luxury camping experiences using bell tents by local label Homecamp. Experience a sense of escape just three hours from Sydney and create something meaningful. Warramba is not available for weddings. Warramba is a set on 100 acres of bushland just three hours from Sydney. The property features an LOVINGLY RESTORED 1890s sandstone farmhouse. It also features sheds, 100-year-old sheep and cattle yards and a lazy river that dances with native reeds and grasses. Our Highland Cattle can be fed by hand and a cheeky and photogenic blue cattle dog called Mate is always ready for his close up. There's also a recently-restored white '63 Ford Falcon available for use, and the property offers additional locations within 20-minutes, including the World Heritage-listed Wollemi National Park, historic Rylstone Village and Ganguddy, wetlands that resemble Kakadu. We also have access to rustic shearing sheds, wind mills and farming equipment. BUSH BLOCK WILL BE AVAILABLE FOR BOOKINGS IN 2019. We went on honeymoon and changed our mind. We tore up our plans for a cabin and started planning something much more exciting. This new addition to Warramba will provide an escape and playground for couples and families. 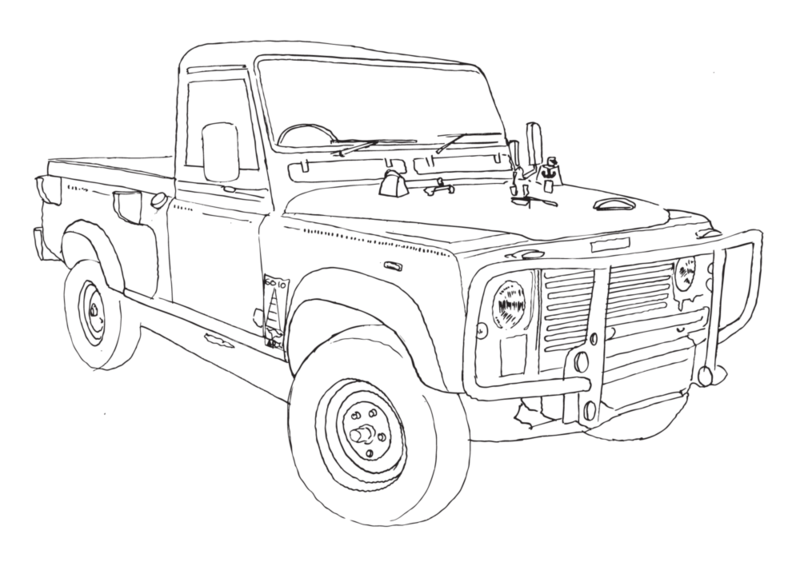 Sign up to our mailing list at the bottom of the page to be notified first.